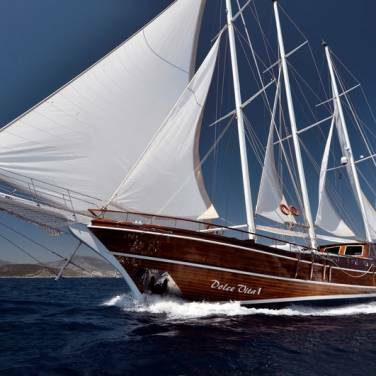 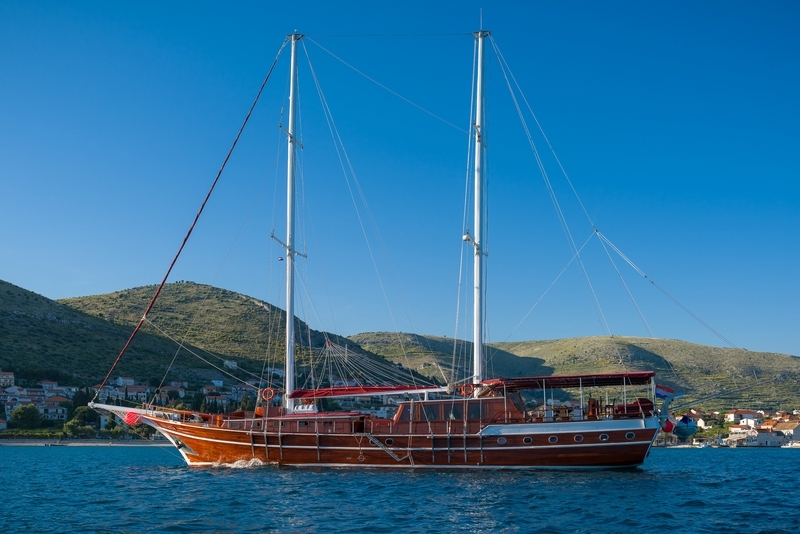 Gulet Croatia is a luxury charter yacht that will render your next cruise in Croatia unique and memorable. 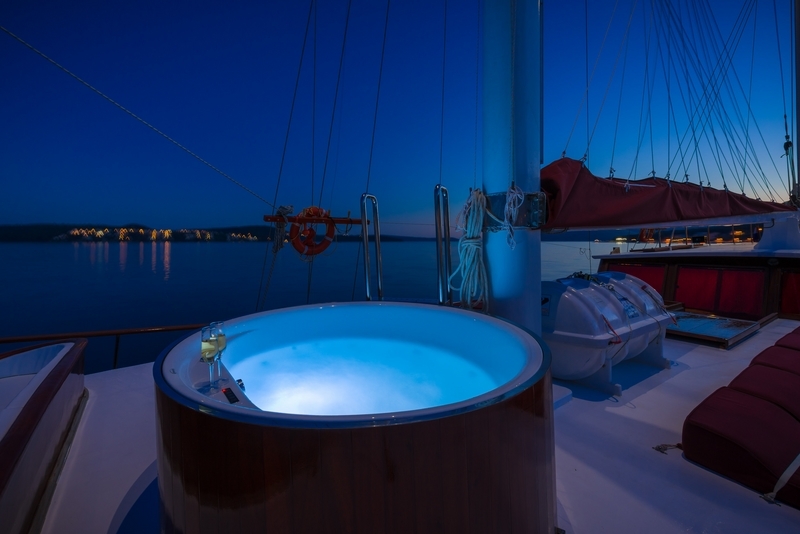 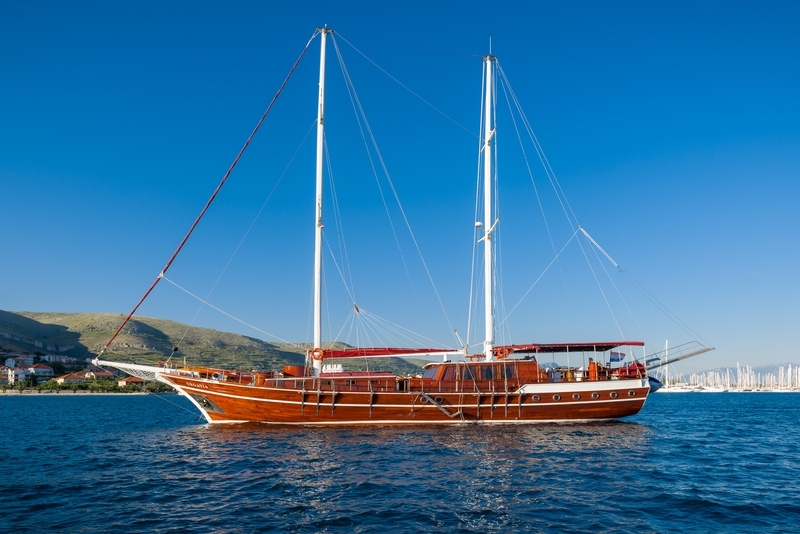 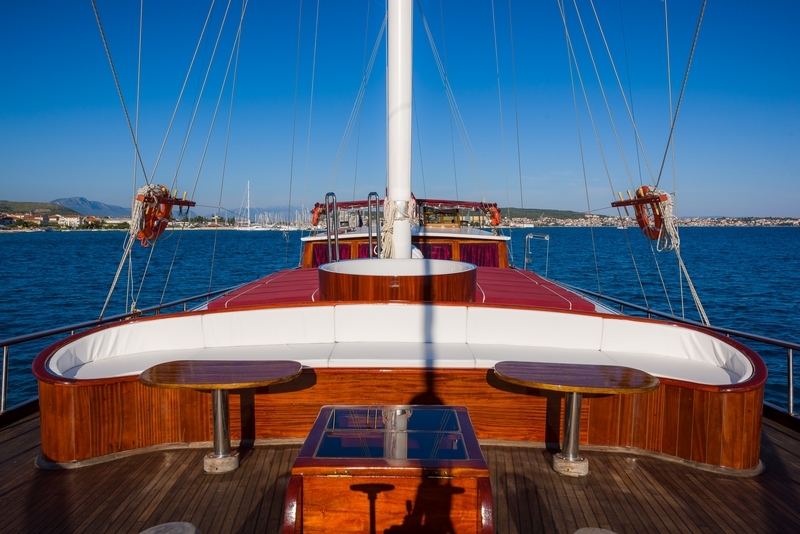 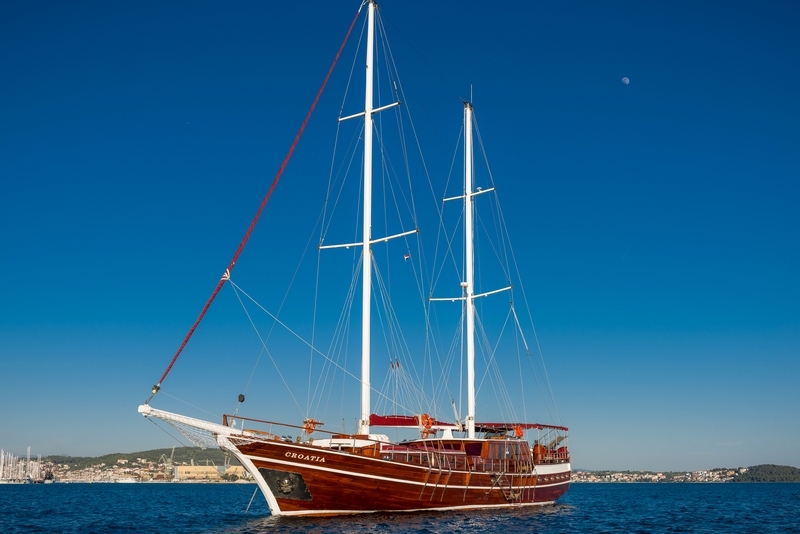 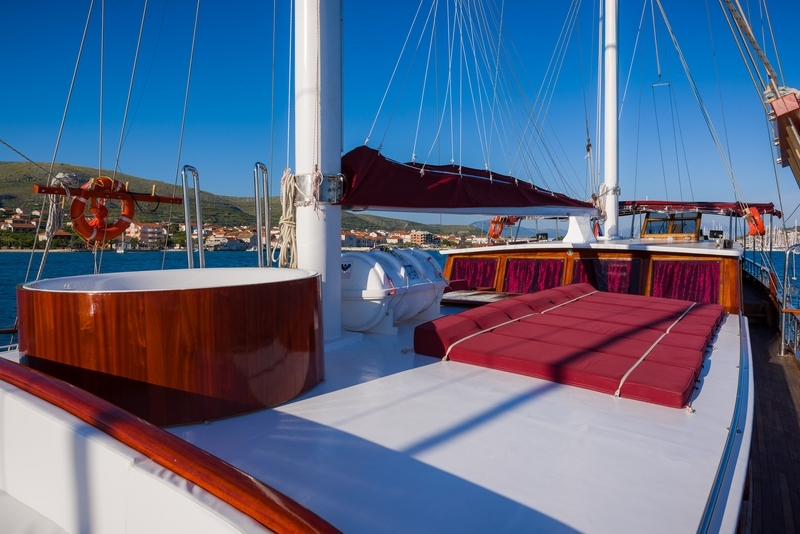 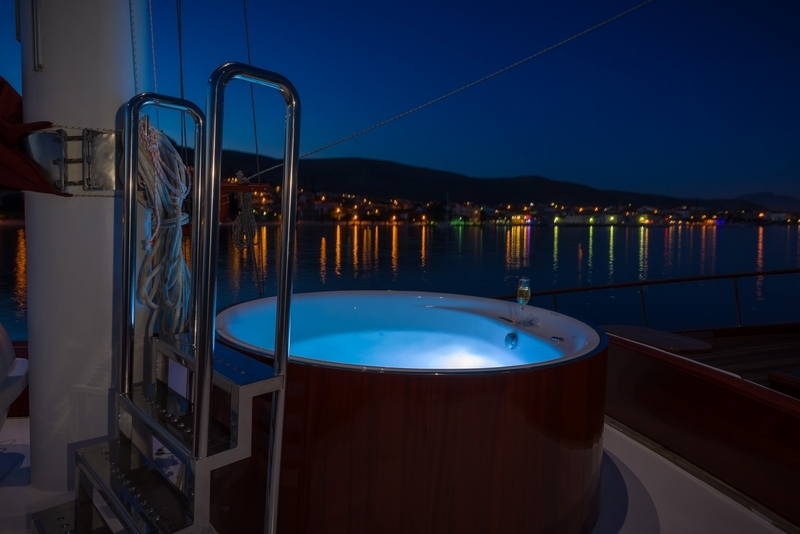 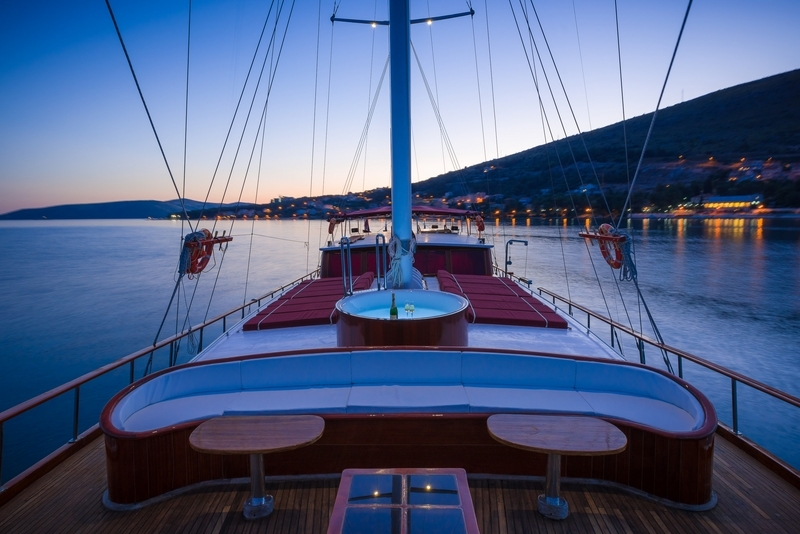 Refitted in 2015, luxury gulet Croatia embodies a simple charm of traditional gulets and a touch of understated elegance. 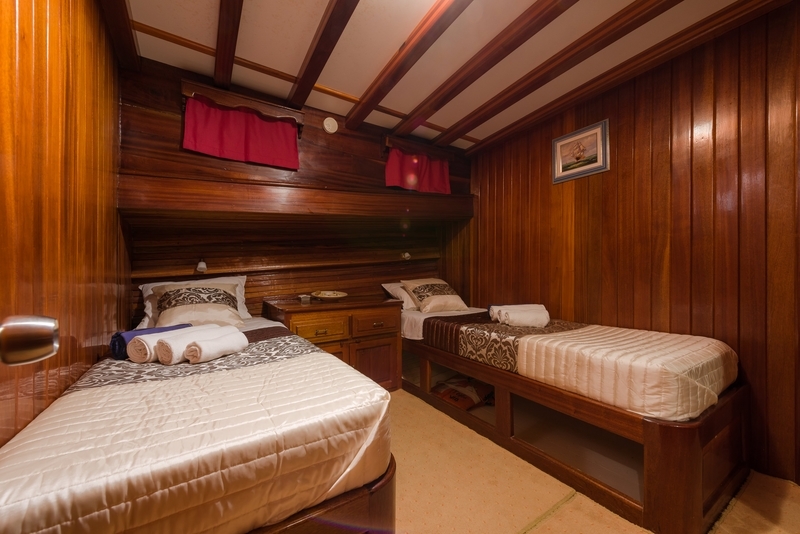 Her 7 fully ensuited cabins can comfortably accommodate up to 14 guests, enabling them to choose between 4 double bed cabins and 3 twin cabins. 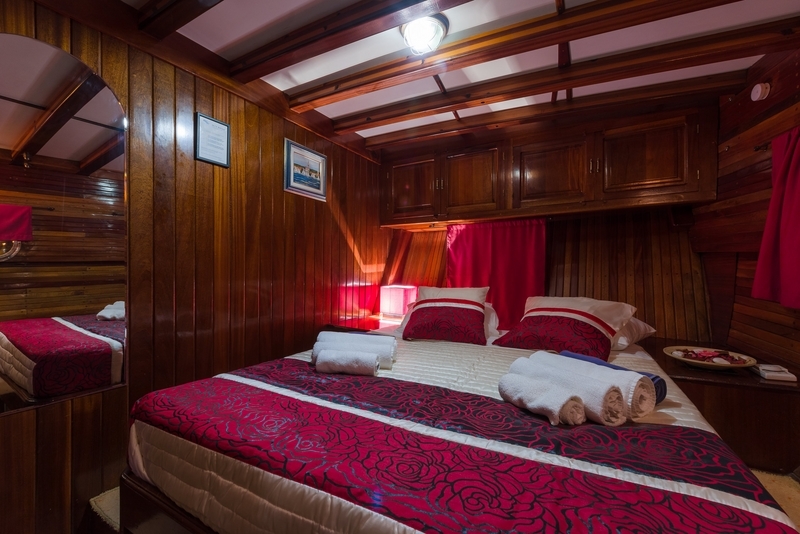 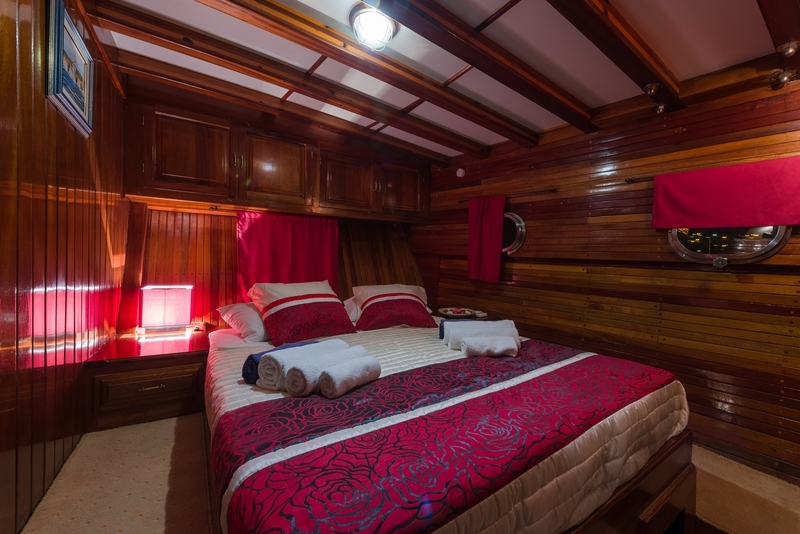 All cabins are air conditioned with separate air conditioning control in each cabin and they also come with some handy amenities such as a safe and room service. 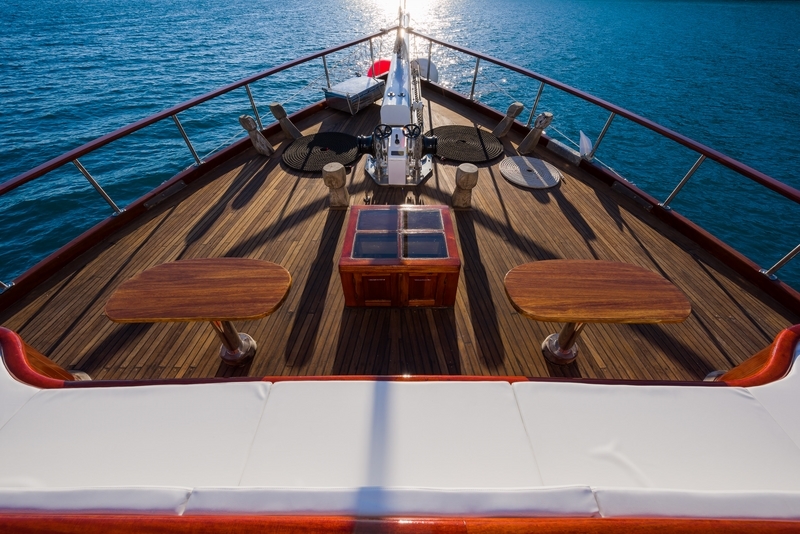 A calm and restful ambiance of the remaining interior space has been effortlessly achieved through the use of natural tones and polished wood finishing, easily inspiring utter relaxation and comfort. 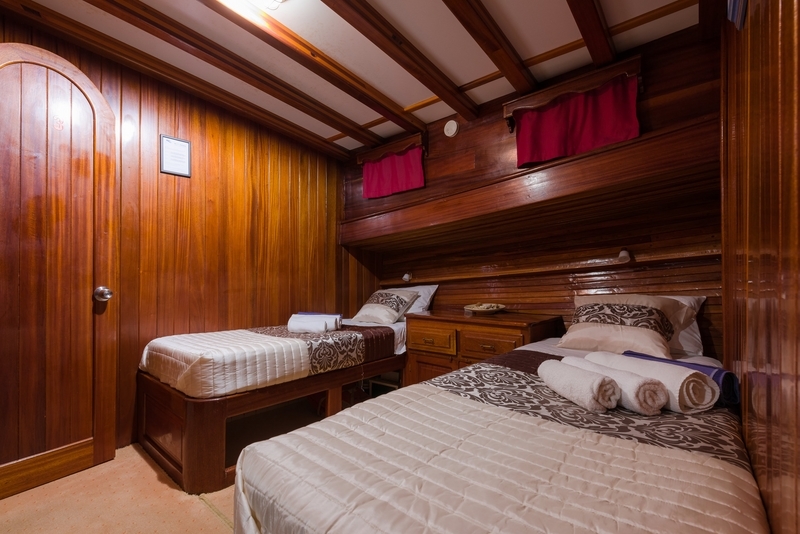 Aside from the light-flooded salon, there are also separate crew quarters ensuring maximum privacy to the guests and a kitchen with all essential appliances including an indoor and outdoor barbecue. 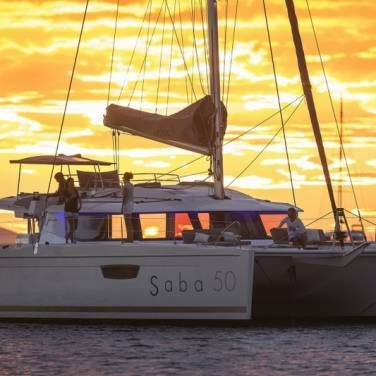 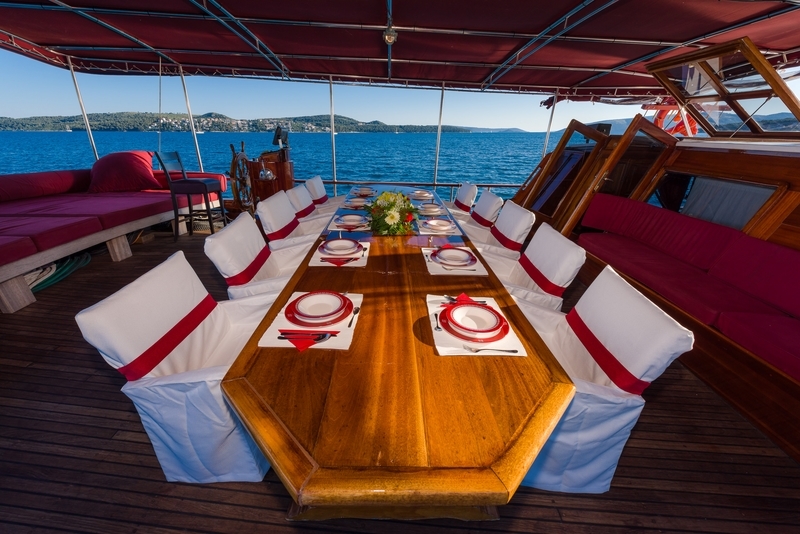 An array of additional amenities such as a giant plasma TV, VHF, DVD and CD player, radio and karaoke, allows for all manners of fun and relaxation for the entire charter group. 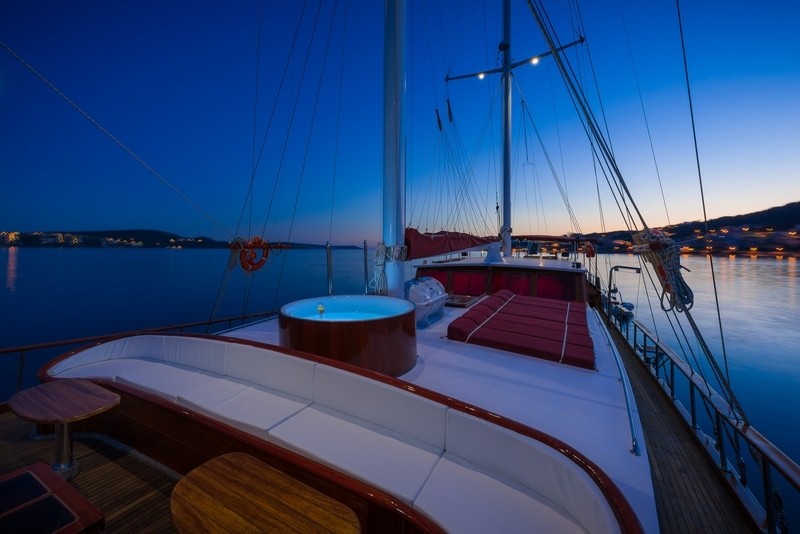 32 meters long, luxury gulet Croatia certainly offers plenty of outdoor space as well where the emphasis is on entertainment and lounging. 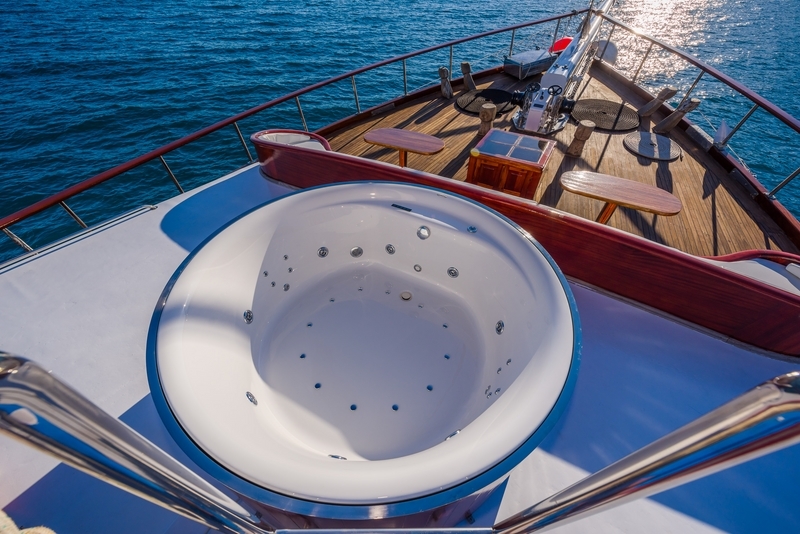 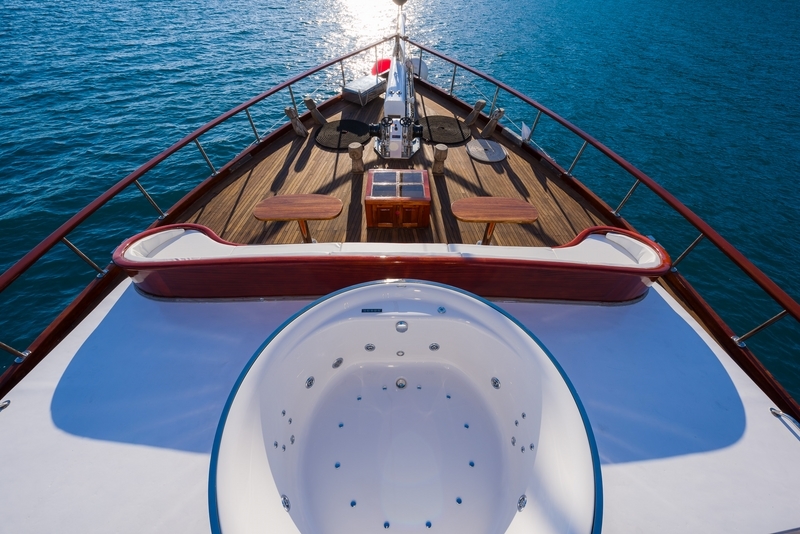 From a sunbathing area located on the bow to a spacious lounge on the stern deck, the guests will get to enjoy some peace and quiet, undisturbed by anything except the sound of the waves. 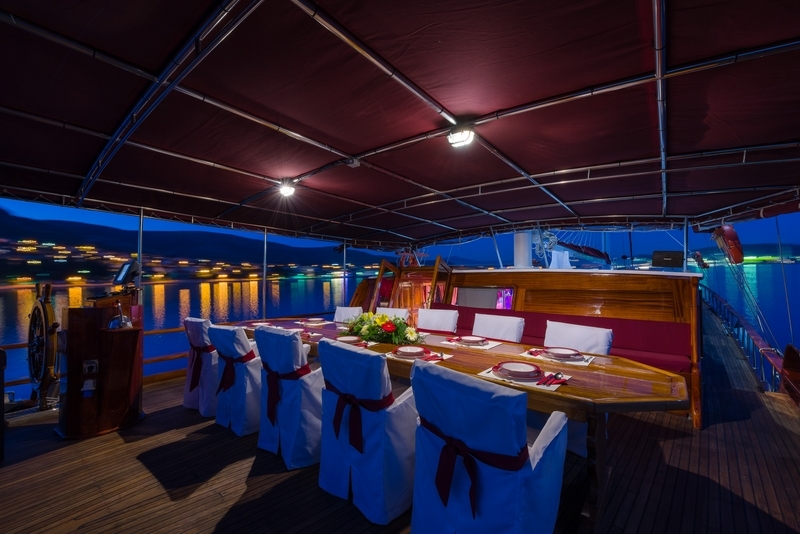 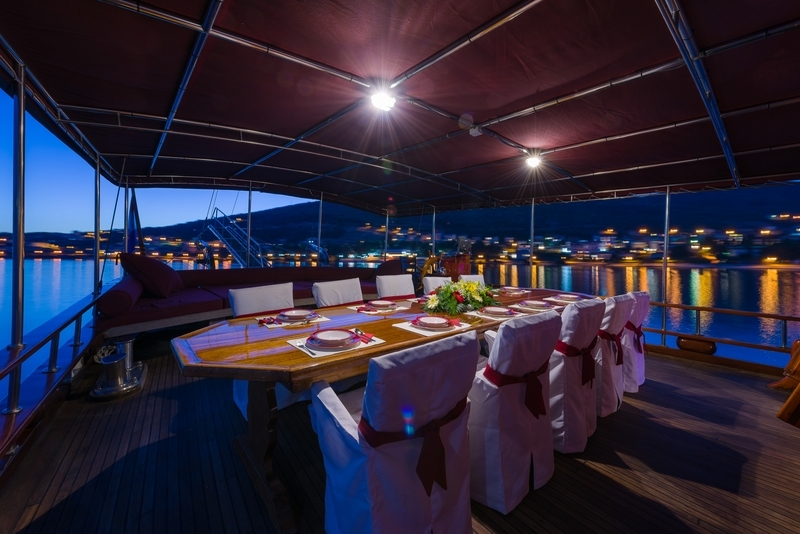 Stern deck lounge features a large table with sitting area for 14 guests and cushioned sofa whereas other sitting area is situated on te bow. 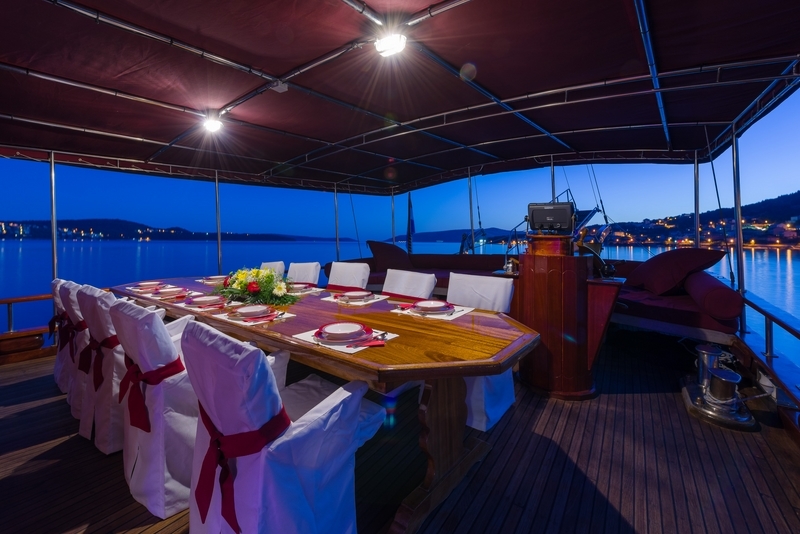 Both of these areas may be covered by a tent and be transformed into a perfect retreat from the sun where you can enjoy the decadent alfresco dining. 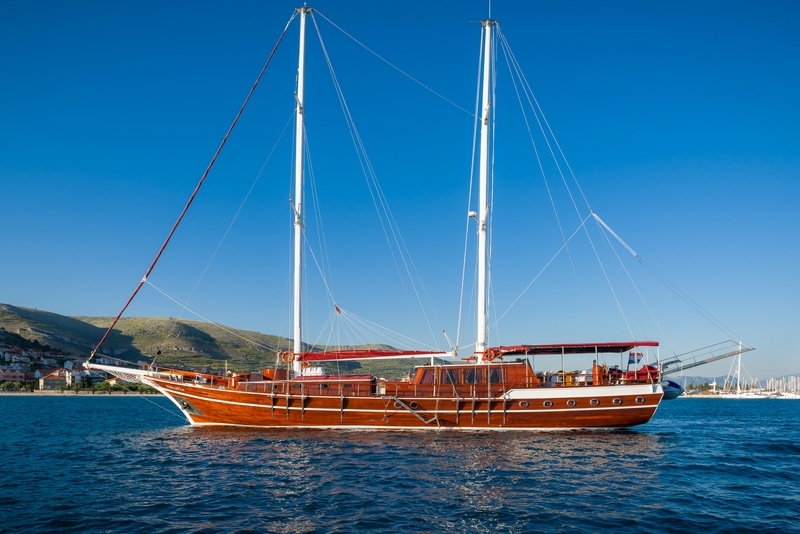 Those inclined to sports activities will surely enjoy the gulet’s vast offer of the water sports equipment such as kayak, a jet ski with 3 seats, wake board, water ski, stand up paddle board, donut, as well as snorkeling and fishing gear. 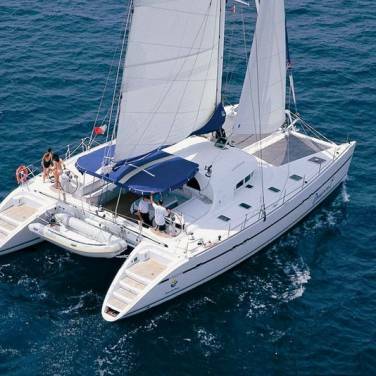 A professional crew of two will accompany you during your cruise, offering a simple blend of fantastic hospitality and competent sailing, but should you require more assistance, the crew may be extended upon request. 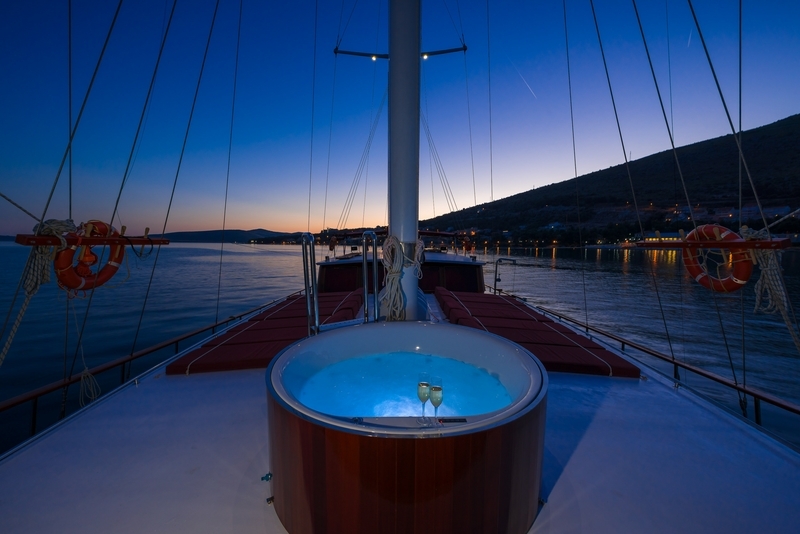 If you are somewhat unsure about which cruising region to explore best, the captain can steer in you in the right direction and show you some of the finest ports and anchorages hiding on the shores of the Adriatic. 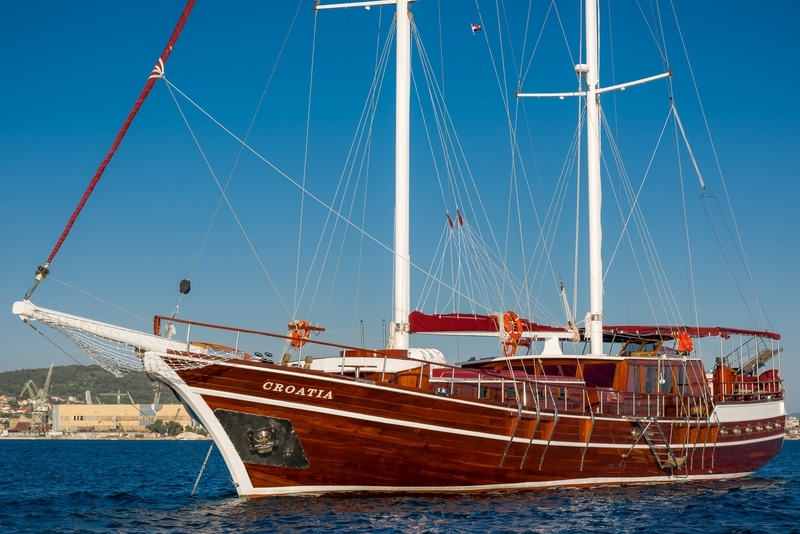 By chartering gulet Croatia, you can even enrich your holiday with some interesting activities like diving and fishing, guided by the local experts themselves. 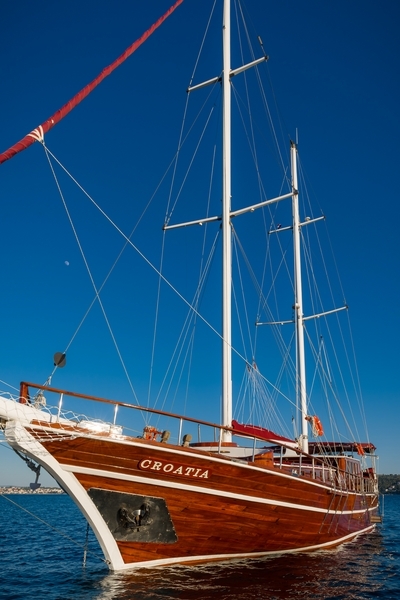 Since cruising is not only limited to family charters and single activities, those seeking a unique outlook on Croatia and its sun baked shores can partake in a senior program or team building events. 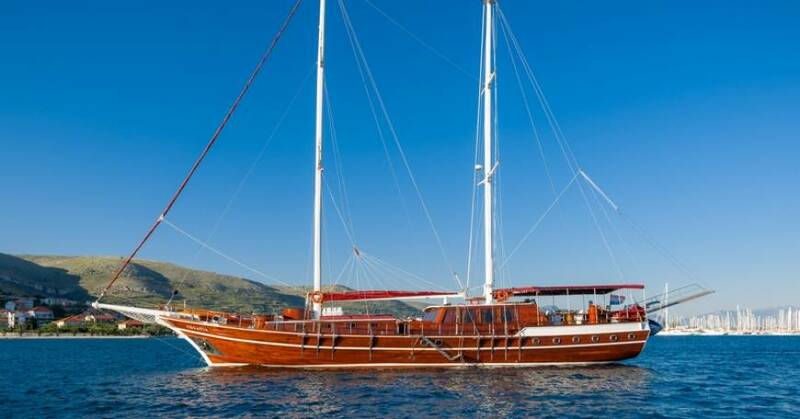 Time aboard a cruising yacht is all about fun and relaxation and aboard gulet Croatia you will surely discover why the pleasures of cruising are considered incomparable.